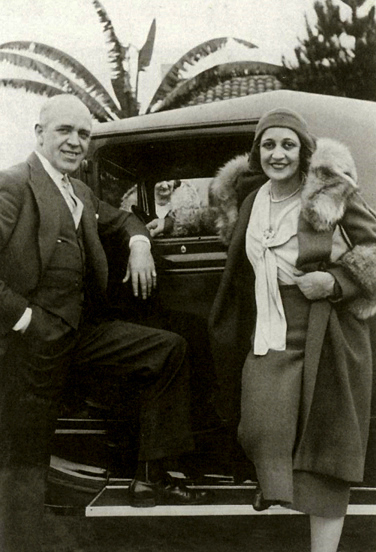 In 1927 one of McHugh’s most important professional relationships began when he met lyricist Dorothy Fields. They began writing together and in 1928 they had [their] first big hit with the enduringly popular “I Can’t Give You Anything But Love, Baby”, written far the all-black Broadway revue Blackbirds of 1928. Other songs written by them for this show were “Digga Digga Do” and “I Must Have That Man”. The team then moved to Hollywood where they worked on the films Love in the (1930), Singin’ the Blues (1931), Cuban Love Song (193 1), Dinner at Eight (1933) and Clowns in Clover (1933). For the 1935 film Every Night at Eight, they wrote “I Feel a Song Comin’ On” and “I’m In the Mood For Love”. Louis Armstrong – Personnel: Louis Armstrong, t, v / Ed Anderson, t / Henry Hicks, tb / Bobby Holmes, cl, as / Theodore McCord, as / Castor McCord, cl, ts / Joe Turner, Buck Washington, p/ Bernard Addison, g / Lavert Hutchinson, bb / Willie Lynch, d — New York, 4 May, 1930. Radio Rhythm Boys – The youtube provider wonders whether the credited band is a pseudonym for Harry Hudson. This appears to be correct. I began hunting for information on Hudson and discovered a track from 1931 named Making Wicky-Wacky which is credited to Al Bowlly and Harry Hudson’s Radio Rhythm Boys (at weimerrundfunk.com). The site Big Bands Database Plus [link failed on 18 Feb 2014] provides the following information on Hudson. Harry didn’t have an orchestra of his own. His was one of the “Studio” orchestras active all through the 1930’s. Active with the Edison Bell’s Radio Label. Line-up often included such sidemen as: Sylvester Ahola, Lew Davis, Sid Phillips and George Melachrino Some of his re-issued recordings are under pseudoyms of The Blue Jays; The Radio Rhythm Boys, and the Deauville Dance Band. Django Reinhardt, Stéphane Grappeli and the Quintet du Hot Club de France recorded “Exactly Like You” twice in 1937, in April and May, according to djangopedia.com. However, there is also the following recording by the QHCF under the title Pour Vous, dated 13 December 1940. Diana Krall – from the DVD Diana Krall: Live in Rio which was recorded in November 2008 during her tour in support of the Quiet Nights album. Live In Rio…captures Krall and her long time band of bassist John Clayton, guitarist Anthony Wilson and drummer Jeff Hamilton, augmented by percussionist Paulinho DaCosta, performing at the Vivo Rio in Rio De Janeiro in November 2008. The performance was also supported by the Rio De Janeiro Orchestra under the direction of Ruria Duprat.